We were hoping to walk around and get some nice photos of the campsite and the walking tracks around it, but this morning it was pouring with rain and we had to pack up without really getting out of the car. Just moved things around … like a Rubiks cube until everything was in the right place and we could drive off. It was a shame as the location was fantastic. 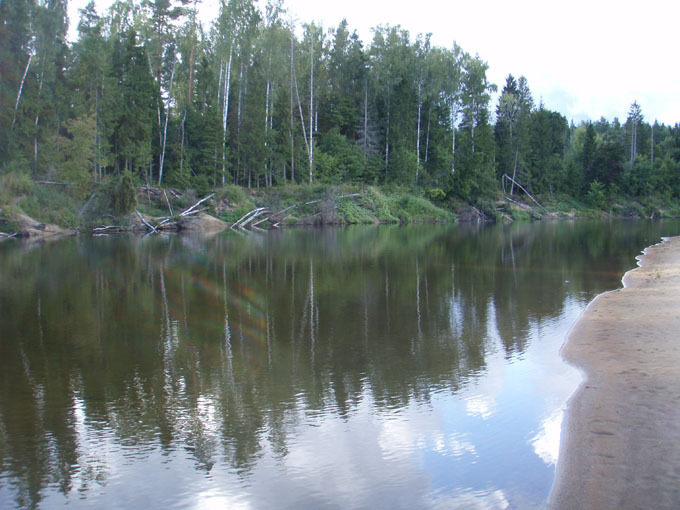 This is the river that runs along the edge of the campsite. 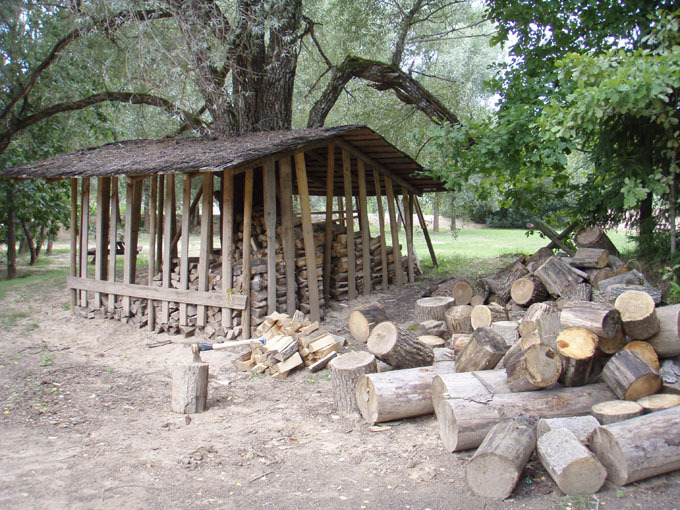 The wood store where you pick up your free wood for the campfire. Once we left the campsite we headed up towards the Estonian border, stopping only to pick up a bit of shopping in one of the well stocked supermarkets. 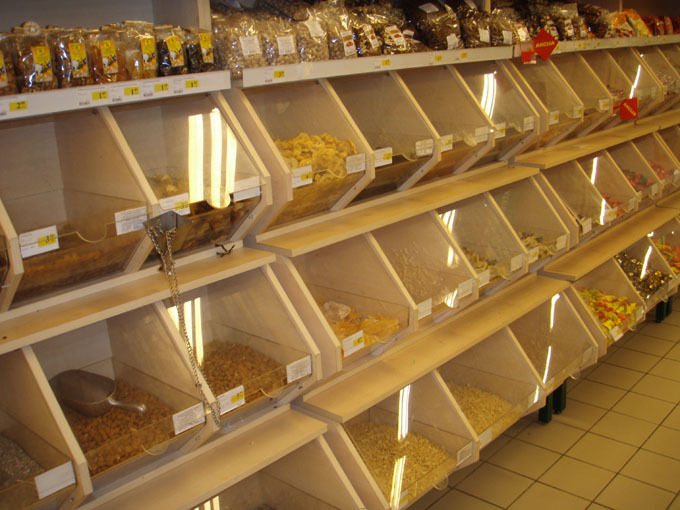 There you can buy everything loose by weight, from the normal sweets, to rice, nuts, seeds, wheat and even biscuits. I remember places like that in Enland from way back, but have not seen it for a long time. One of the things that we forgot to mention earlier was the fuel prices in Latvia. Diesel costs around 89 Lat / Lt ( £1.10) and Petrol is around the same price. 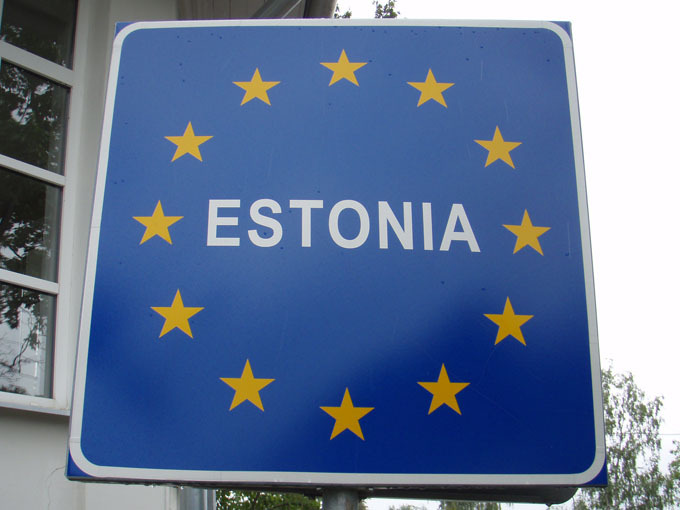 We then continued on to Estonia, although it will be a short visit as we are due to arrive in Russia on Monday. We had not realised it but Estonia joined the Euro in January. 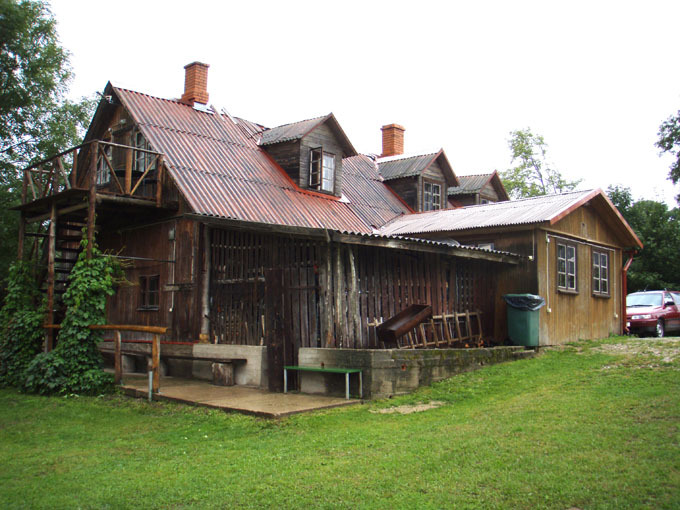 It is also the place where Skype was invented ….. It seems to be that Estonia is really into technology and they say that for every 100 Estonians there are 150 mobiles in use. Can’t quite see why you’d need 1.5 each …. but still! On the other hand there are still many people that live in the countryside that lead a very traditional life. One of the guest houses where we looked at camping in the garden, was very rustic but had wifi signs all over it (the old meets the new)! In the garden they had a really unusual boat. 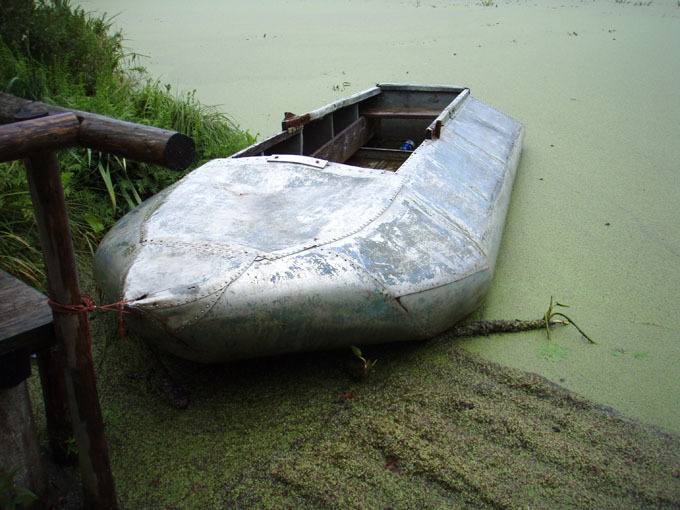 I’m not sure but it looks like it is made from an old float plane …. any thoughts? Really hoping for sun tomorrow to dry us out, but the forecast is not so good!